There were several apps missing from Windows 8 that many users thought should’ve been included from the start. With the release of the Windows 8.1 Pro Preview, two of them have been added; the other others, well, it’s up to you to decide if they’re worth your time. 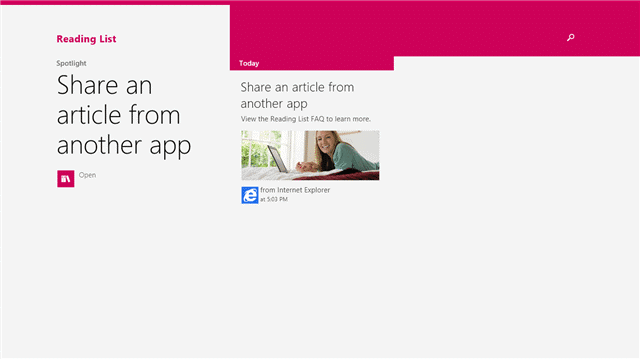 Microsoft has introduced a variety of apps in Windows 8.1. Each app enables the users to use various useful features from the Start Screen. You can start using them today if you’ve upgraded to Windows 8.1, or you could just test them out on a Virtual Machine. We’ll take a look at each app, show you how to get started, and you can stack them up against apps you may already be using for each function. Let’s take a look at the eight new apps in Windows 8.1. 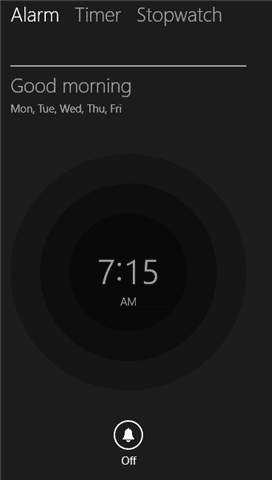 As soon as you launch the new Alarms app, you’ll be asked to set it as your default alarm on Windows 8.1. 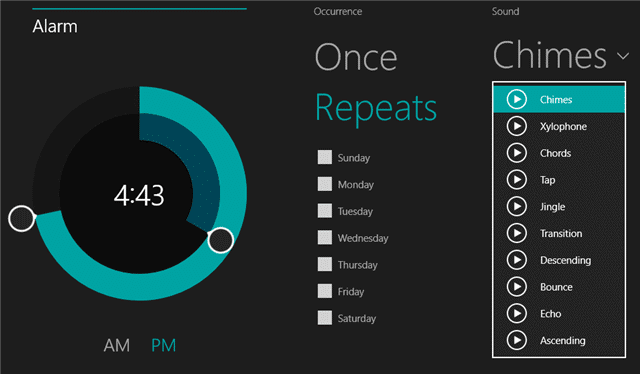 Alarms is a never before featured program in Windows. Alarms have three functions: Alarm, Timer, and Stopwatch. You can set up multiple alarms, setting them by moving the dials clockwise or counter-clockwise. They can be customized as to the time they go off and what they sound like when they go off. At the moment, you can’t choose your own sound file to go off with an alarm. The Timer allows you to set a timer to go off as needed. 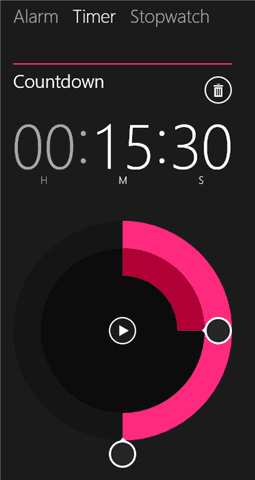 Again, you can move the dials clockwise or counter-clockwise to set it, then click “Play” to begin the countdown. The Stopwatch lets you keep time. 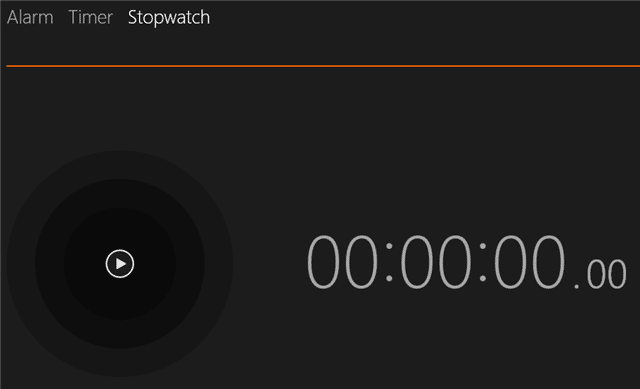 Simply click “Play” to begin the stopwatch and “Pause” to stop it. Most Windows users were dismayed that the simple Calculator they came to know and love in previous versions didn’t really exist in the Modern environment of Windows 8. Never fear: The Calculator is back and better than ever. 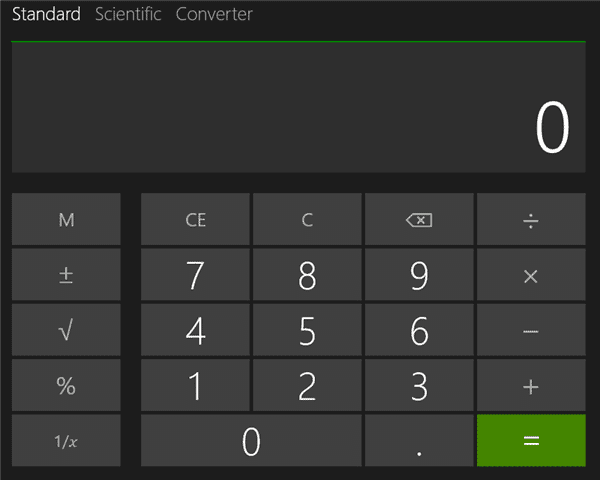 The Calculator has three functions: Standard, Scientific, and Converter. 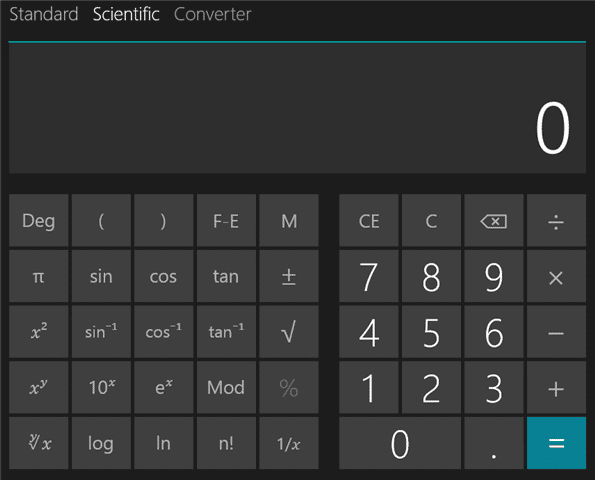 Simply click the buttons or enter in numbers via the keyboard to use the standard or scientific calculator. 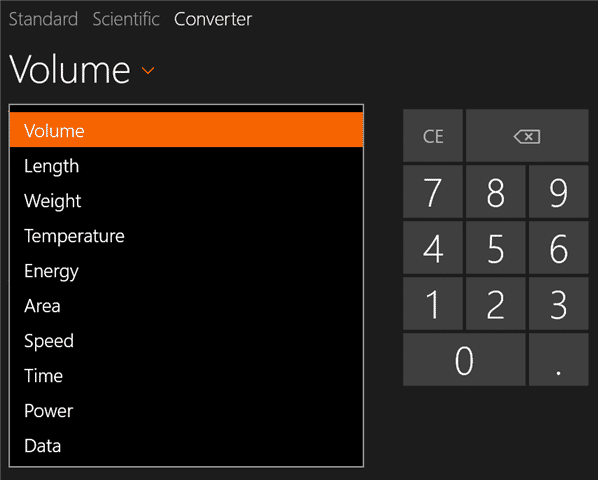 The Converter is a welcome addition to Windows 8.1. You have a wide variety of choices to convert one thing to another without having to Google the answer for yourself. We’ll cover these in more detail in a separate post as they’re pretty extensive apps and a wonderful addition to Windows 8.1. Help & Tips is a new app, but unfortunately, while implemented and accessible has no value at the moment in Windows 8.1. Reading List allows you to share items from the Web to the app. You can then read them at a later date. This is a very basic reading app and needs much improvement to truly compete with others on the market, but it’s a start. The Reading List is a welcome addition to Windows 8.1, if it worked for everyone which it didn’t for me. Some reports on the Microsoft Forums show that the share option needed to actually send pages to read in the app is missing. This is the problem I encountered. Despite turning the app on in the settings Share function, it doesn’t show up for all users and Microsoft will hopefully address the issue shortly. Keep your eyes peeled as we’ll cover this app in more detail as soon as Microsoft releases a fix for the issue. Scan allows you to use a Modern app to scan documents to your PC as opposed to the boring, old-fashioned Windows Fax and Scan Manager. Its simplified interface makes it easier than ever to scan documents. However, the Scan app has similar bugs in it as the Reading List at the moment. For some reason, wireless printers – despite being set as the default scanner – are not recognized by the Windows 8.1 Scan app. Microsoft hasn’t narrowed down the cause of this, but some users believe it has to do with the printer manufacturer. Again, once these kinks are worked out by Microsoft, we’ll add a more detailed overview. 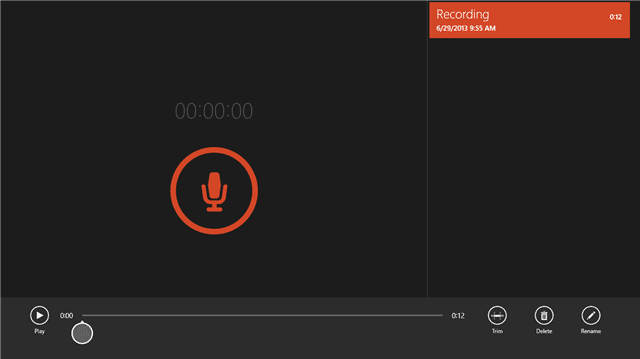 Sound Recorder takes another staple of the Windows OS and turns it into a Modern app. 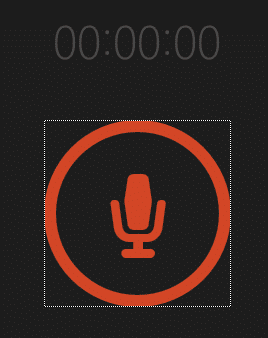 As long as you have an active mic, you can take advantage of the Sound Recorder app. The first time you use Sound Recorder, you’ll be asked if it can use your microphone. Click “Allow” to continue. Sound Recorder is very simple. Just click the “Microphone” to start recording. You can pause at any time by clicking the “Pause” button or by clicking away from the app. You’ll be notified that the recording has stopped if you click away. When you’re done recording, Sound Recorder will save the recording automatically. You’ll be able to shuffle through your recorded sessions in the right-hand pane. 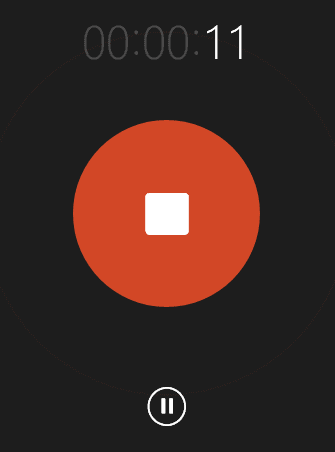 If you click on a recording, you can play it, trim it, delete it or choose a new name for it. The Sound Recorder app is a visual update to an already easy to use desktop app. We’ve addressed some of the issues with individual apps, but you may have issues launching apps after the upgrade or install of Windows 8.1. If your upgrade failed, stalled or had to be restarted for any reason, it may be possible the new default apps haven’t been added to the Apps view screen. Search for the apps and manually pin them to the Start screen for access. This can occur when you use a proxy to download the new default apps, but not the actual Windows 8.1 upgrade or install. Microsoft has provided a fix for this on the Windows 8.1 Pro Preview forums. 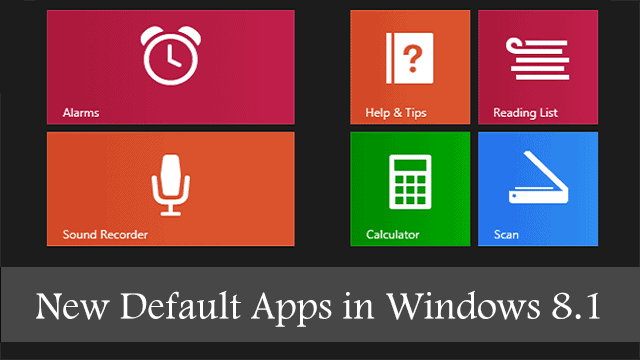 Keep your eyes peeled on this post for troubleshooting tips for the new default Windows 8.1 apps. The more apps Microsoft develops by default for Windows 8, the more users will give them a try before finding solutions elsewhere. Some of the default apps Windows 8.1 adds really give users a more Modern feel to apps that should’ve been included from the get go. Please Note: Keep in mind that Windows 8.1 is a preview of the unfinished upgrade for Windows 8. Bugs, issues and other nuances might pop up either in our dealings with the OS or yours before it’s finalized by Microsoft for release. Let us know if you have any issues, so we can help find answers for you and get Microsoft to address them on either end. Next articleOver a Month Later, Does Google Hangouts Live up to the Expectations of Unified Messaging?